This is the first of two consecutive blogathon participations where I had intended to read the original texts (the play in this case, and the novel in the next). As it stands, these grandiose plans will have to be scrapped, and I will need to include both The Swan along with the Tin Drum (should I get to the book) to the long list of titles I watched before I read. Most of the Hungarian playwright, Ferenc Molnár’s, works are available online in the public domain either on Project Gutenberg or Internet Archive. 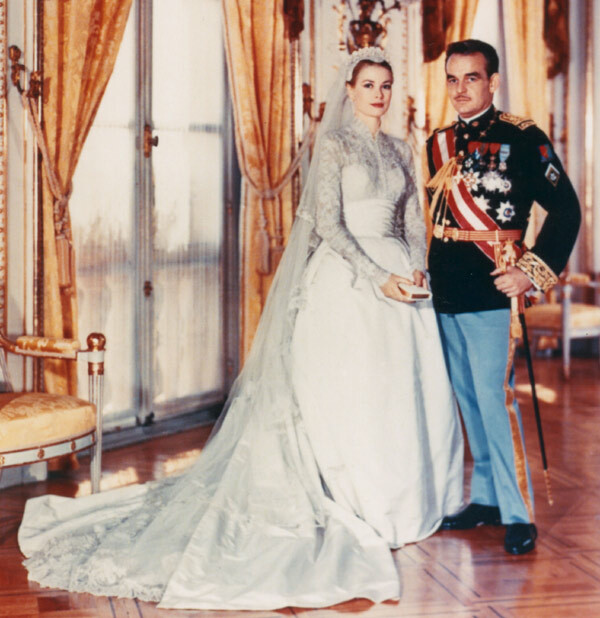 As for the film version, which was released in 1956 (four years after Molnár’s death) was one of Grace Kelly’s final screen credits before retiring from the screen after becoming Queen of Monaco. 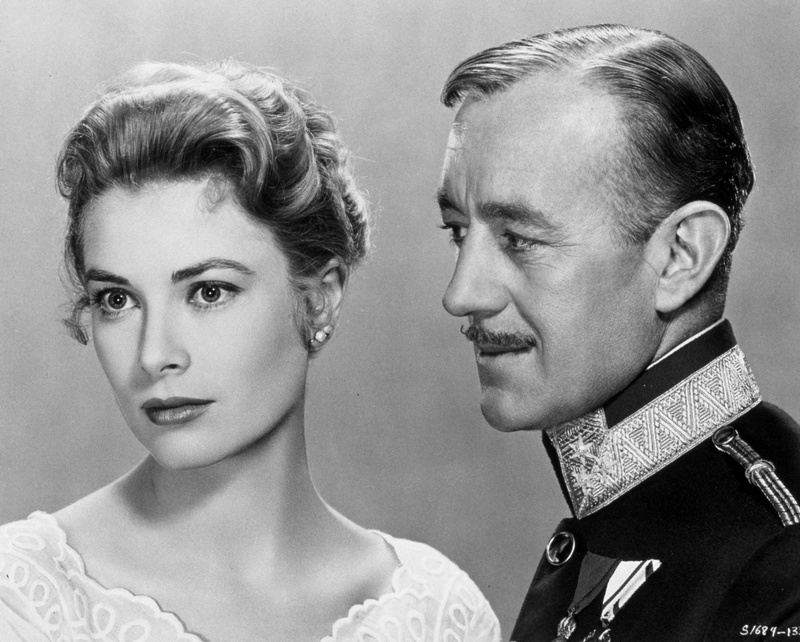 A renewed interest in Kelly, sparked partially by the forgettable Grace of Monaco, is what drew me to this blogathon, and Molnár and this connection to her late career drew me to The Swan. Firstly, yes, I believe I will be reading Molnár’s work after having seen this film. More on that later, but first the focus of the blogathon: Grace. One thing that was interesting to see, as someone who has now seen nearly 1/3 of her scant titles, was the added range this role allows her. We all have blind spots almost everywhere, even film enthusiasts, and Grace outside Hitch’s movies was one of mine. Kelly was Hitchcock’s perfect blond not only in terms of appearance but for how he could cool down her refined class, and make her be quiet, or calculating, or a cipher as the case may be. Here she was likely drawing off real-life emotions but was allowed several facets – a few I’d not quite seen. Firstly, there is the physical prowess she exudes. 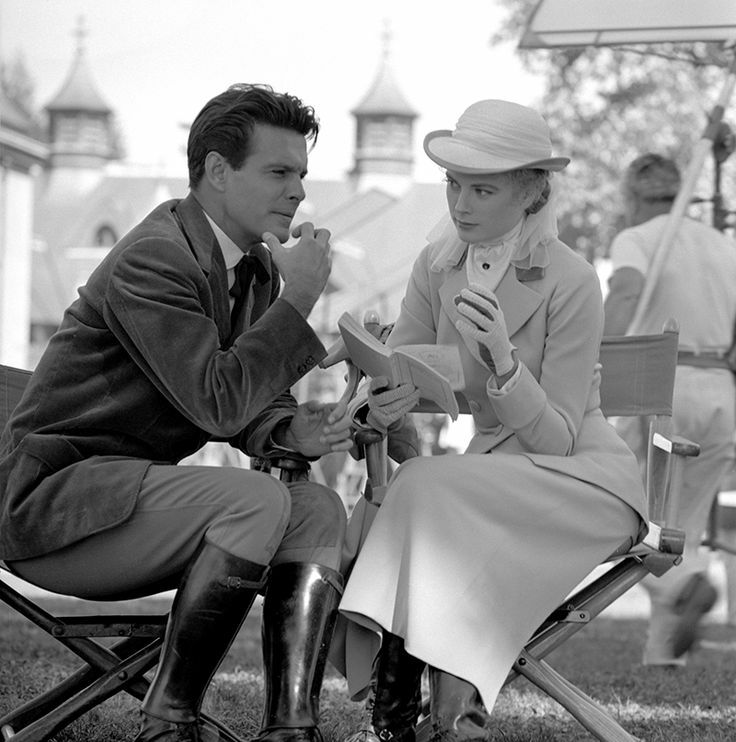 Now, it’s very clear from the first time you watch her that few actors’ names were ever so fitting as Grace Kelly’s. She has a regal air and gait anyway, always, did but when you add her fencing, ballroom dancing, and some of her emotional vulnerability it’s very impressive. Emotionally she’s ill-at-ease, distraught, nervous, and very noticeably listening and reacting in the most intense scenes. That and she’s practically a textbook example, even in Cinemascope, of the rule that actors on film must adjust to the framing; having more leeway of movement and gestures in wide shots and being more subtle the closer the camera comes. Not that it’s ever that close as there are lots of wide shots and long takes. This and the minimal airing out of the play were used to exploit Cinemascope, which was created to offer something TV couldn’t play up some the of theatrical elements in a cinematic milieu, fitting as much early TV were playhouse shows and the lines of theatre, television, and film were blurred. 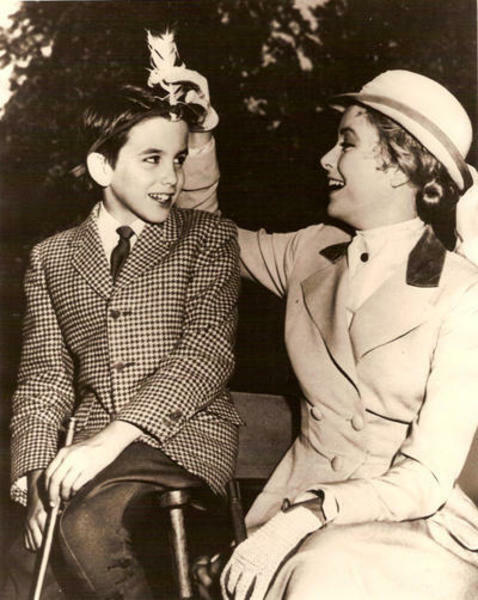 The drawing from real life experience is not me stretching that she was royalty later and plays royalty here, this film was actually released shortly after her marriage to Prince Rainier of Monaco, surely that was part of the appeal to her and to MGM’s marketing department. “I want to be a queen” she protests at one point as her becoming a princess was imminent. The setting of this film is labeled as Central Europe 1910, but it’s really the Austro-Hungarian Empire right before World War One. 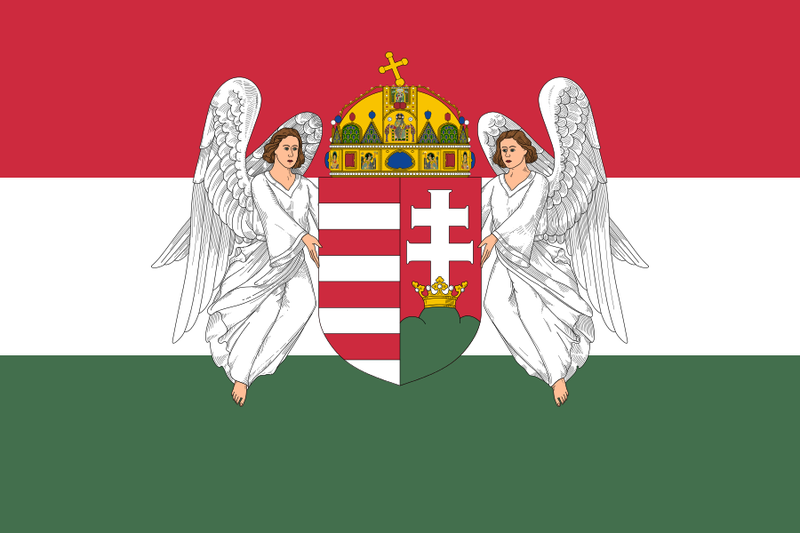 The decadence of the Empire in its latter days has been fodder for Hungarian writers and will likely continue to be. 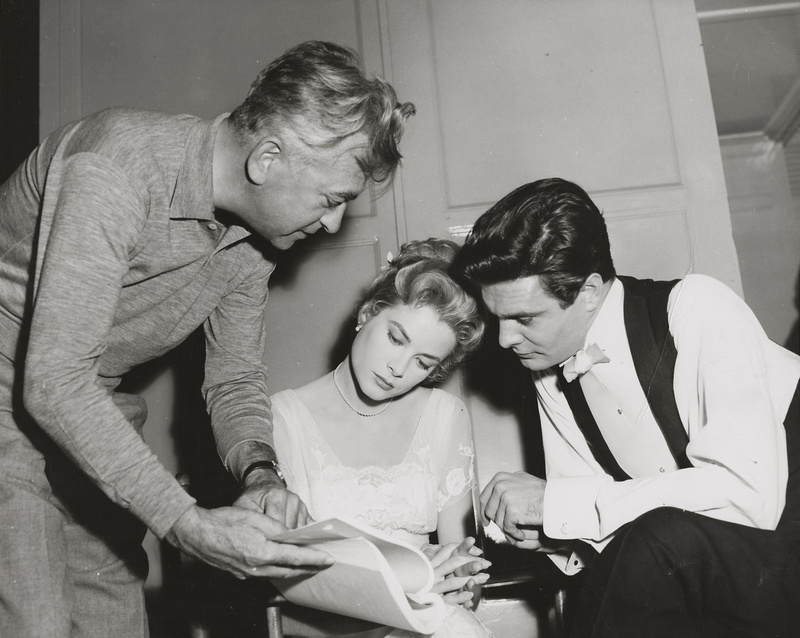 This was a project that director Charles Vidor could relate to as he was one of many who left either Hungary or Austria-Hungary before it to Hollywood. Born Károly Vidor in Budapest, 1900; he was around the age of Alexandra’s brothers at this time. However, some of the setting is evident even in Anglicized text like the paddle game, mentions of the great plain, the Puszta; which I never heard being referred to as a place where mirages frequently happen; Szeged and (where your paprika likely comes from). I was also glad they broke into French on occasion which was almost universally the language of European royal courts. At least this is a compromise of the convention of translating to English. Whereas sometimes foreign comedies don’t translate this does because it’s about dry wit, impropriety in highly proper environments and some well-played, subtle physical comedy. The themes and motifs in this film are quite apparent but very much appreciate nonetheless. Among them are the role of religion in politics and maintaining the status quo. Father Hyacinth, the monk and a relative, is likely an underrated character and quite shrewd. He’s nearly duplicitous in his ability to influence even though he also admonishes the royals, most of the characters are layered like this rather than being archetypes. There are also overtures of class warfare, the rights to culture and one’s “place in society.” As is not atypical with royals, and in Hollywood couples, there is an age difference of 15 years. The plot also centers on marrying for political gain versus love, there’s a refreshing spin on jealousy plots and a jilted lover. This film is also proof that older films are worth watching despite their Oscar pedigree or lack thereof. The film is an early Cinemascope title, the sets are as opulent as Golden Age mise-en-scènes, and the score by Bronislau Kaper, albeit sparsely used is mellifluous. Despite focusing on Kelly it is an ensemble piece and aptly performed by Alec Guinness, Louis Jourdan, Jessie Royce Landis, Brian Aherne, Estelle Winwood, Agnes Moorehead, Christopher Cook and Van Dyke Parks. Even though there is a slight bit of predictability, I appreciated the refereshing take on a manipulated love triangle and the sociopolitical themes aside from the romance. The Swan, a nickname and metaphor that plays early and late in the film. To not tease the end too much I was not surprised what the ending was after seeing Internet commentary like “the end didn’t work for me.” Keeping in mind the cultural relativism of Hungrian works, which I am familiar with, as well as realistic expectations in the real worls and not in Hollywood claptrap the ending makes perfect sense and it is all the more bittersweetly beautiful for it.